Map It! 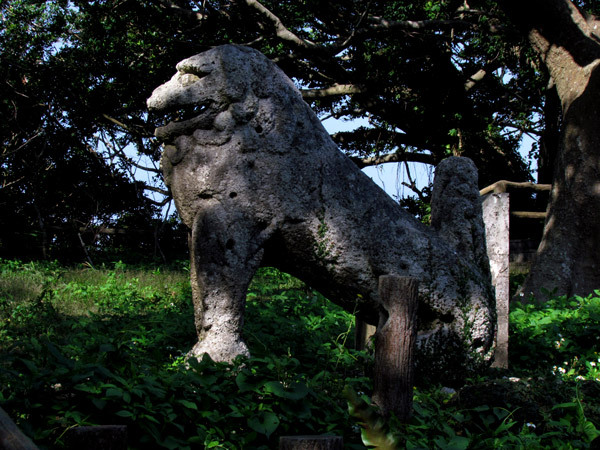 Okinawa: "The Tomori Stone Lion"
Perhaps one of the most recognizable scenes from the Battle of Okinawa was a picture taken of the Tomori Stone Lion, a now famous hallmark figure of Okinawa History. The stone lion faces the Yaese Mountain ridge – still standing tall and strong as it has for centuries. According to Okinawa lore, its orientation is not by coincidence but rather a product of Feng Shui, which is an ancient Chinese art that studies the balance of nature and energy to help promote prosperity. Traditionally, the practice of Feng Shui has been used to determine the orientation of certain structures of significance. 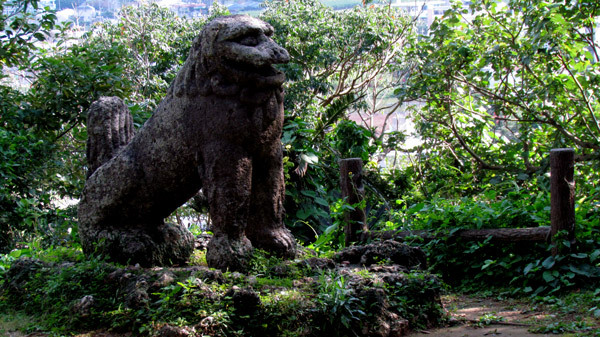 It is believed that the construction of the Tomori Stone Lion was consulted by a Feng Shui master and was erected to face the Yaese Mountain Ridge to prevent fires in that area (prior to, the Yaese ridge had had a series of fire incidences). Another belief was that it was to give strength to an Aji or Lord of the Yaese area. Its exact date of origin may still be a mystery, but it is said to be first mentioned in an article written in 1689. According to a Japanese publication titled Okinawa Shisas (沖縄 シーサー, published 1982) a ceremony called the 'Tantoi' Festival was held prior to the war on September 9th of the Lunar Calendar, in which a young man would perform a dance around the Stone Lion. According to that same publication the ceremony is now held on October 1st and its purpose is still to prevent fires in the surrounding area. Today, the Tomori Lion stands strong despite the visible wounds from the Battle of Okinawa. It is one of the last vestiges that remains intact from that era and serves as a testimony of the strength and resolve of the Okinawan people. 1. 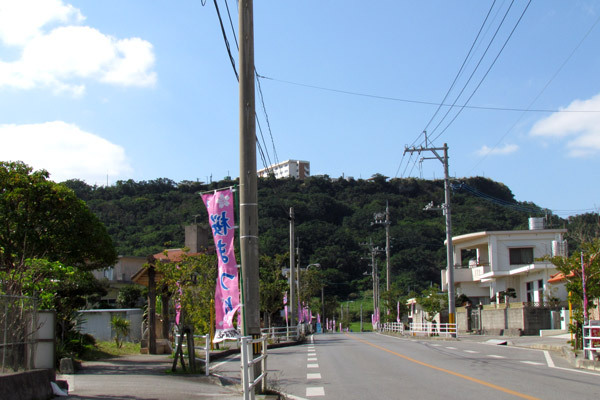 Tomori Village was once known as Tomimori Village. 2. Though the publication did not specify, it is believed that the October 1st date is based on the Lunar Calendar. And because the publication was dated in 1982, it is not certain if the October 1st date is still the current ceremonial date. Directions. 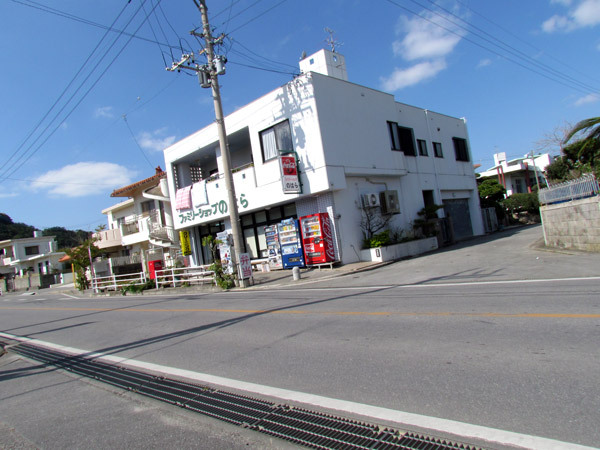 The most straight forward route is to take Highway 58 into Naha City and then take Highway 329 going east. Next, go south on Highway 507. Then turn west on Highway 52 at the Highway 507/52 Intersection. Look for this Landmark store on the right hand side. Just before this store you will turn right. You will see signs that will lead you to Tomori Lion. Note. Google Map has Highway 52 as Highway 15. There are no visible signs of Highway 15 on the ground. Furthermore, prior to the Highway 507/52 Intersection (just north of this intersection) you will see a sign pointing to the Tomori Lion. This route may get you more confused and lost. It is recommended you stay with the route designated above. Source. Research at the Tomigusuku City Library, Japanese book titled Okinawa ShiShi Dogs (沖縄 シーサー) , Nagamine, dated Showa 57 (1982). Other Related Articles. 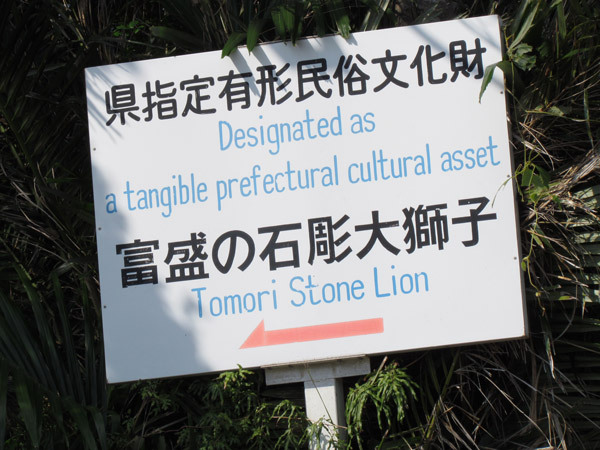 The Tomori Lion by Keith Graff, Then and Now Photos: The Stone Lion of Tomori, Okinawa by Michael Lynch. Other places of interest nearby. Gangala. 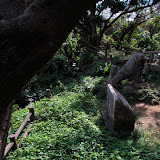 "Sunabe Baba Park & Beach"
"Mystery of the Bumagongen Shrine"